To be a company that truly apply the principles of the Lord Jesus Christ in the market place. Not for personal gain, but as a testimony that His understanding and teachings are the firmest foundation anyone can build on. 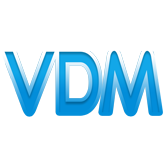 We started VDM to facilitate the development of various business enterprises in the arena of computer science, industrial manufacturing and art. All the individual efforts function as a whole for the greater vision to remain sustainable within a globally unstable financial atmosphere.